Hey folks. Sorry for the lack of update on this blog. You see, when I started the first leg of my train journey from Beijing, I was all bright-eyed and bushy-tailed. 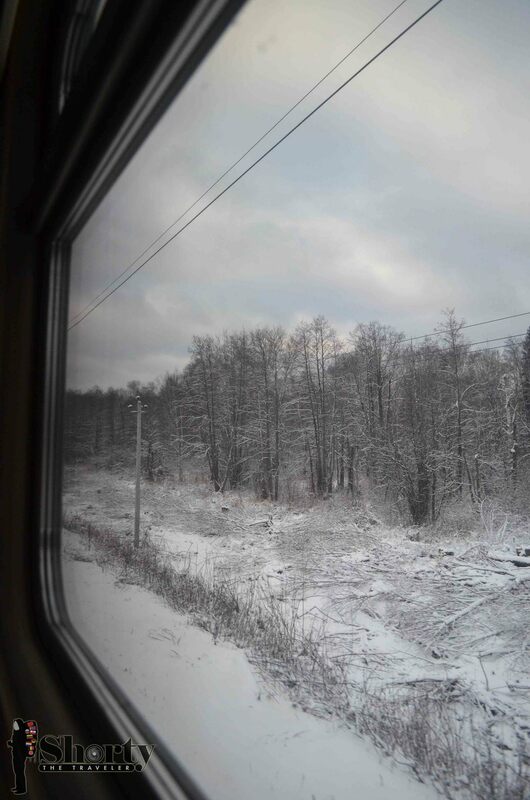 But when the train journey ended in St Petersburg, I felt wretched. I suppose it’s normal when you’re on the home stretch. The first thing that’d cross my mind when anyone mentions Kazan is Ivan the Terrible. Well, that was before I arrived in Kazan,that is, According to legend, after Ivan the Terrible seized Kazan, he wanted to celebrate by taking the deposed Khan's niece, Suyumbike, as his bride. Of course the beautiful Princess Suyumbike said no at first. She would only agree to marry him if he could build a tower higher than either of them had ever seen. The spire was erected in just six days. What a dedication, aye? This is the longest train ride for me in this trip. 52 hours in a coupe with strangers. And not any stranger, but Russians for God sake! The next paragraph definitely is not for the faint of heart. Some of the stories would be labeled as 18+, as seen on one of the books read by my fellow berth members. Yes, they have age appropriate guidelines printed on the book cover. Sounds absurd? Welcome to Russia, boys and girls where vegetables are more expensive than vodkas and fur never goes out of style. What I learned from Russians, so far. Here I am in the hostel room, looking at the snow falling through my window. 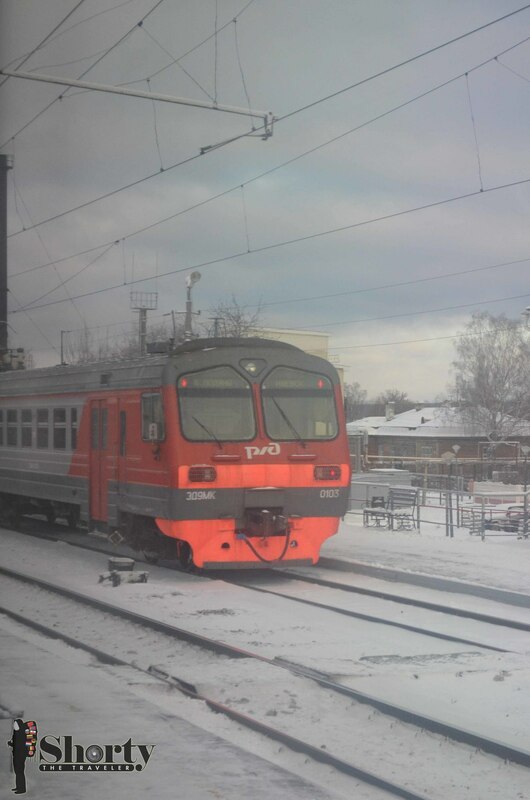 I woke up early today to do my laundry and get prepared for the next train to Yekaterinburg. It is a 52-hour train ride, mind you. So before you start preaching on how I should at least enjoy the city before I leave, please consider the emotional preparation that needs to be done beforehand. And of course the food supply. It’d be freaking stupid to be on the train without proper food supply. Mental! Hence, I’m doing the best I can before I turn into a green chilli and eat the Russian women. Hats off to them for being able to walk on the icy pavement with the 5-inch heels and fully clad in fur. You guys deserve the Guinness book record just for the heels! Why don’t you love me, Mother Russia? Second leg of my train journey is now completed. No soul is harmed during crossing the Mongolian border to Russia’s soil except from being asked to step out for interrogation. 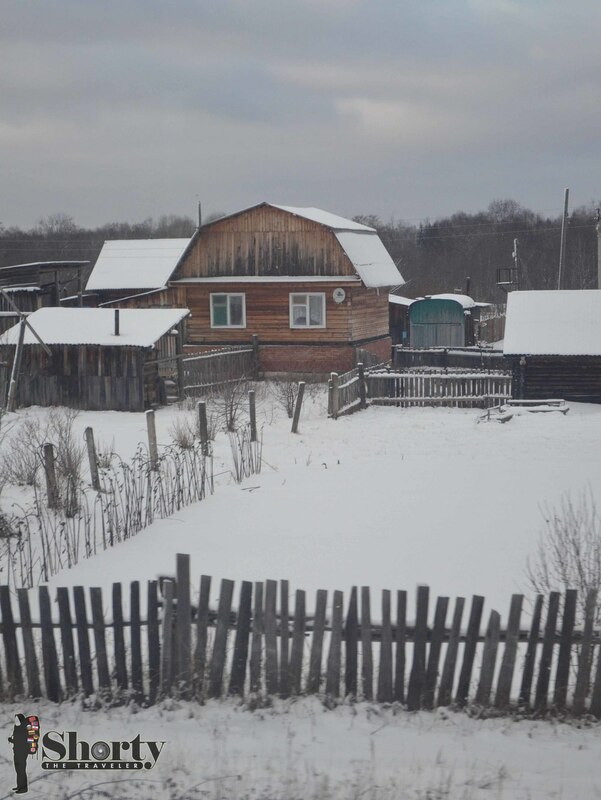 I was lucky for there was a Mongolian woman who speaks Russian in my cabin and she helped to translate the conversations carried out in Russian. It all started with the immigration officer that is as dull as the dishwasher who alerted her higher-ranking officer. It was done on a basis that I might be carrying a fake passport and destinations listed in my Russian visa are considered as not common for Malaysian travellers. I was then asked to step outside and followed the higher-ranking officer for interrogation. I thought that I should scheme my way out by mentioning that his blue eyes really compliment his immigration uniform. But with the stern look given by the other immigration people, I ended up by saying I heard Russians are a bunch of nice people when he asked why I come to Russia. My passport was taken away for further inspection, as it is fairly new with only 4 pages used for stamps and visas. Besides, they are not sure whether it is the latest issue with the black and white photo. It felt like an eternity when I was being interrogated and I can’t help but to feel like being in a movie as well. You know, a bit like Harold and Kumar Escape from Guantanamo Bay. For some reasons unknown, I always imagine that Russia looks a bit like The Wall in Game of Thrones. Full of Night’s Watch that wear fur clothes, bravely walk on thick snow and handsomely flip their hair while maintaining the cold and rough look à laJon Snow. DELUSIONAL! Alas, the visa application for Russia has also been a subject of misconception by most. Some said that it is a pain on your backside. Some said that get the visa first before buying the Trans-Siberia tickets. But hey, you won’t know unless you try.